More action from Lumpinee Stadium in Bangkok, Thailand. Petsitong Sor. Sawanggym (in red trunks)Vs Thirapon Sor. 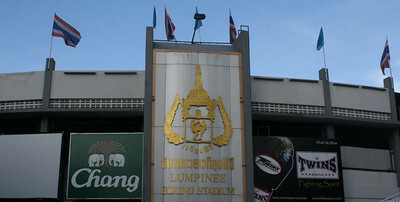 Thirapon (in blue trunks) from Lumpinee Stadium on Saturday night, February 6, 2010. Ths fight was contested at 121 lbs. ~ by fatsoking on July 7, 2010.